The brunt of the storm hit further west. 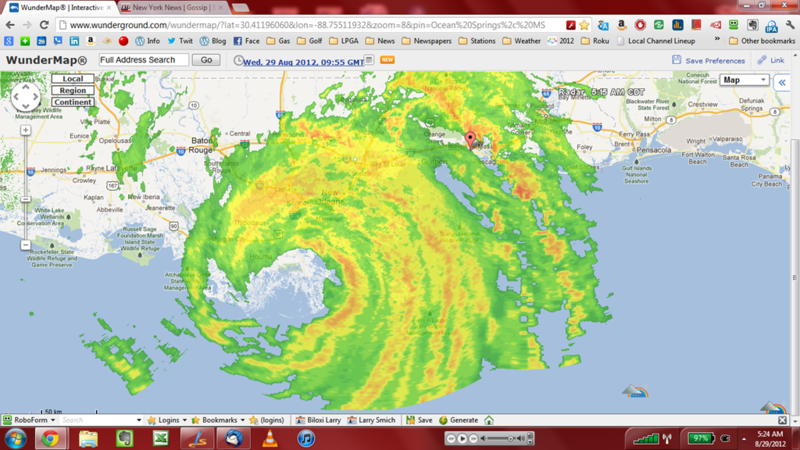 New Orleans got the worst of it. The building I’m in survived Katrina so I wasn’t too worried. Happy that the power stayed on. Would have been a shvitz in here if it didn’t. The course was closed the last two days but it’s back to work on Friday. This entry was posted on Wednesday, August 29th, 2012 at 2:52 pm and is filed under Uncategorized. You can follow any responses to this entry through the RSS 2.0 feed. You can leave a response, or trackback from your own site.